Trying to properly organize my work tasks and home tasks hasn't always been my strength. I have struggled to keep on top of things and as soon as I got behind I would throw my hands up and avoid everything. I had a pretty good organizational system down at work before my maternity leave but I admittedly still avoided any daunting task at home. Since I couldn't exactly let my work suffer I would just avoid my home tasks.... Laundry? A pile of unfolded clean laundry never hurt anybody. Once Thomas was born I realized that I really needed to stay on top of things. I wouldn't say it's a mom thing because the types of tasks I was avoiding are tasks that most people do, children or not. Laundry, dishes, vacuuming etc. The only difference for me personally was that with Thomas around, I often had a pretty small window of time to get these tasks done so I had to be on top of them. If you're busy for any reason (work, family etc) you can probably relate. I needed to find a way to organize my time so I could keep the house the way I wanted, spend lots of time with Thomas (not that he gave me a choice) but also so I wouldn't forget my other to-do's that don't need to be done daily. I knew that I needed to find an organizational system that worked for me and in order to do that I had to be honest about what I was looking for. I'm a planner. I am visual. I like writing lists. I like checking things off lists when they are completed. I don't like to be late. I don't like having too many different lists going. I don't really want to carry around a paper planner anymore. I avoid when I'm behind or overwhelmed. After a lot of trial and error I can honestly say I am the most organized I've ever been and in a way that makes me happy. I'm not over scheduled, I can still be flexible and my to-do list is getting done. I found a calendar that works for me. I honestly love a good planner but it stopped being practical for me. I found the app Weekly Cal a few years ago (I think? It's been a while) and I've never looked back. My favourite thing about it? It's visual. There are a variety of different views and my favourite is the mini month. I like being able to see what I have going on each day for the entire month. You can change colours, add emoji's and just really personalize it. I've recommended it to everyone I know. Before bed I write my to-do list for the next day. I write everything on there. An email I have to reply to, a blog post I'd like to write, my grocery list, laundry I will need to fold, a thought I had, my workout... everything. Before I go to bed I quickly check to see if there is anything I can quickly tackle right then. When I wake up I look at my calendar and my to-do list before I start my day. I am trying to drink hot (ish.. hot-ish. Okay, it's warm) lemon water each morning so I have that on the top of the list while it becomes a habit and I honestly don't know if I'd remember right now if it weren't for it being on the list. I found my perfect To-Do List. I think I've downloaded and deleted every to-do list app available but nothing really worked for me long term. I stumbled across the One Note app and it was exactly what I was looking for. It's visual and it's everything I need all in one place. You can create different tabs (the example shown is from the app store) and some of the tabs I have are Personal, Home, Thomas, Blog and Meal Planning. In those tabs I have notes and lists. The notes pages are pages you can write in, add photos and you can also create lists. There are also list pages and when something is completed on one of those lists it disappears which is very satisfying haha. Under my personal tab I have my main to-do list which is just ongoing. I am always adding things to my list throughout the day when I think of them. So if I go into the pantry and decide it's a little cluttered I will quickly add "organize pantry" onto my list and I get to it when I can. I am also 100% that person who will write a completed task onto my to-do list just so I can check it off haha. 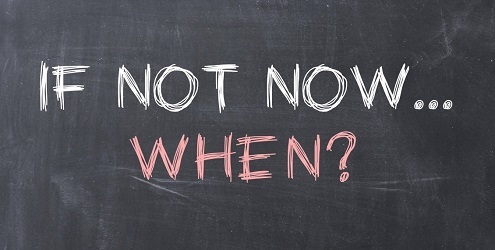 I ask myself "If not now, when?" I am a procrastinator and sometimes I have to remind myself that there isn't a magical chore fairy that will take care of something for me if I leave it there. 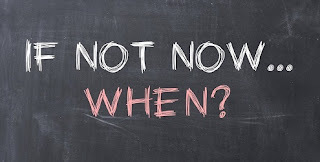 Sometimes when I ask myself this question it just gives me that push I need to complete the task in that moment and other times I am content with waiting and doing it later. While this might not necessarily seem like a way to staying organized and more a way to help keep things clean, I realized for me there is a huge connection. As I mentioned previously, if a task seems overwhelming (and I don't really want to do it) I'm pretty great and convincing myself not to do it. 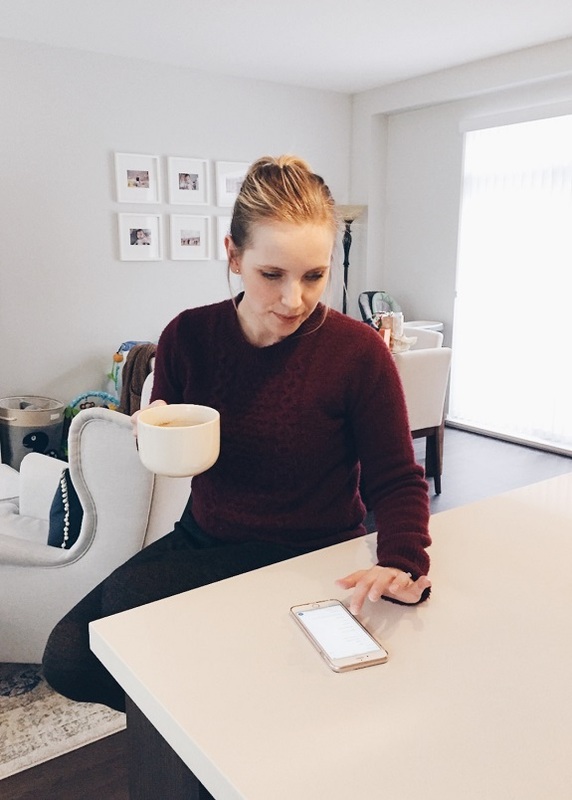 My solution for that was to make household tasks less overwhelming since they take up a large portion of my to-do list and I realized the easiest way to do that was to make sure everything has a place. Unloading the dishwasher is quick when I have an easy place to put every dish. We recently (after the generous amount of toys and clothes Thomas received over Christmas) revamped his closet with some new storage so everything has somewhere to go. The faster I can tidy up the better. What are your favourite organizational tips and tricks? I'd love to hear them!